The bad news is that sperm trouble, low morphology, low count, low motility is on the rise. 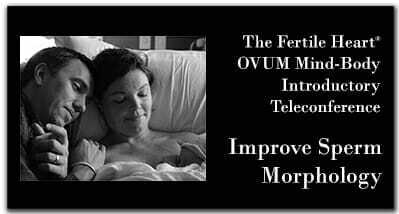 The good news is that improving sperm morphology and healing “male factor infertility” is what the Fertile Heart OVUM Program is all about. Improving sperm morphology, i.e., sperm shape, as well as increasing sperm count and motility (movement of the sperm) is a natural consequence of the radically holistic approach to the wannabe dad’s overall level of health. It’s an approach that can even save the dad-to-be from heart disease or cancer later in life, since the same imbalances that trigger degenerative diseases are the culprits of abnormal sperm morphology and other male fertility woes. 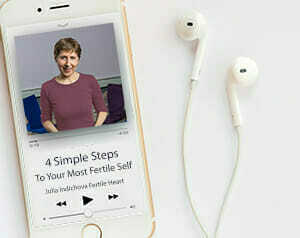 So it’s a cause for celebration to see sperm counts soar, sperm motility shoot way up and improved sperm morphology within months of the Fertile Heart™ Program. To begin with, every ounce of antioxidant rich fruits and veggies, every handful of walnuts and pumpkin seeds, will start turning things around. Then, of course, that’s only common sense. Increased level of health is reflected in every biological marker and sperm is no exception. Sadly at this point, food alone is not enough. High quality absorbable supplements do not replace food but they can significantly improve biological markers like morphology, motility and count. For more information on how food can affect conception, please check out our food and supplements section. If common sense is not convincing enough, it seems every day a new study validates this health enhancing approach to increasing male fertility. After all, seminal fluid that supports developing sperm contains high levels of antioxidants, protecting them from oxidative damage. Oxidative damage is the main threat to the developing germ cells, a factor that can be effectively reversed with high quality, absorbable forms of antioxidants in both fertility foods and fertility supplements. And if that’s not enough consider another common sense result of healthier sperm production. Research has also shown that when sperm quality goes up miscarriage rates go down. So even if your significant other has acceptable sperm, if you’re worried about the risk of miscarriage, boosting sperm health is one more step in the right direction. And in the Fertile Heart™ OVUM land, all of that is just the beginning. What really can improve sperm morphology, send sperm counts and motility soaring is the Visionary Dad that shows up when the overwhelmed, overworked, underpaid and an under-loved little Orphan-boy gets the attention he deserves. Emotional conflicts or fears related to the responsibility of parenting affect every cell in a man’s body; which is why I love seeing more and more men joining their partners for the Woodstock fertility retreat and joining their partners on the 3 Session Introductory Teleconference Series.
. There is nothing sexier than a man who is not only willing to work on how to improve sperm morphology or sperm count, but engage body and heart in his own healing. Foods and supplements are a good place to start. For specific recommendations on highly utilizable, absorbable male fertility supplements and brand recommendations, take a look at the Fertility Supplements: Quality Counts article. For more fertility food related tips check 10 Fertility Food Tips, as well as reviews of research studies on male fertility.